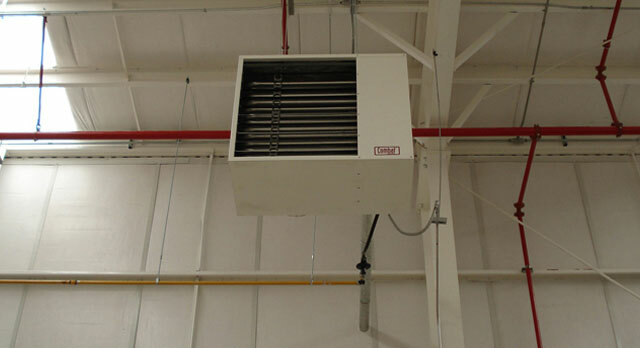 Energy efficient gas-fired unit heaters are typically utilized to heat large open areas including warehouses, garages and commercial buildings. We sell, service and install a variety of models and brands to suit every budget and project. Our experts will work with you to recommend the appropriate unit heater for a new design-build or retrofitting/upgrading existing equipment. Our skilled HVAC journeyman ensure correct installation of your unit heater so you can rest assured your investment is protected. We also offer affordable maintenance plans to ensure efficient and safe operation of your heater for years to come. 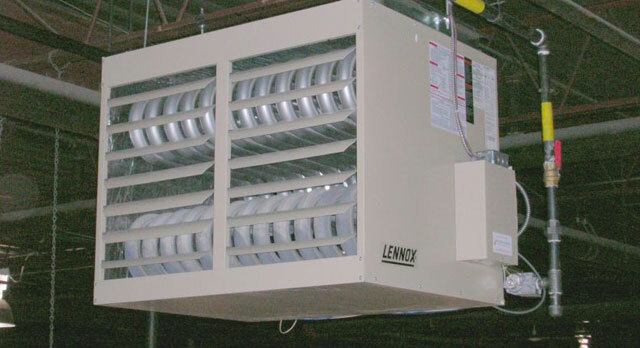 Wanting to discuss specifics on unit heaters like MBH’s, heat exchangers or blowers for your needs? Go ahead and give us a call today, we’d be happy to assist you as well as provide a free estimate.